I’m a strategy-minded product designer specializing in building digital products for function and scale. I’ve worked at agencies and in-house companies, both large and small, allowing me to thrive in collaborative environments with people from different disciplines. When I joined the Promoted Moments team, we were manually creating each campaign for our advertisers. In order to scale, we needed to develop a tool to empower advertisers to launch their own Promoted Moment. 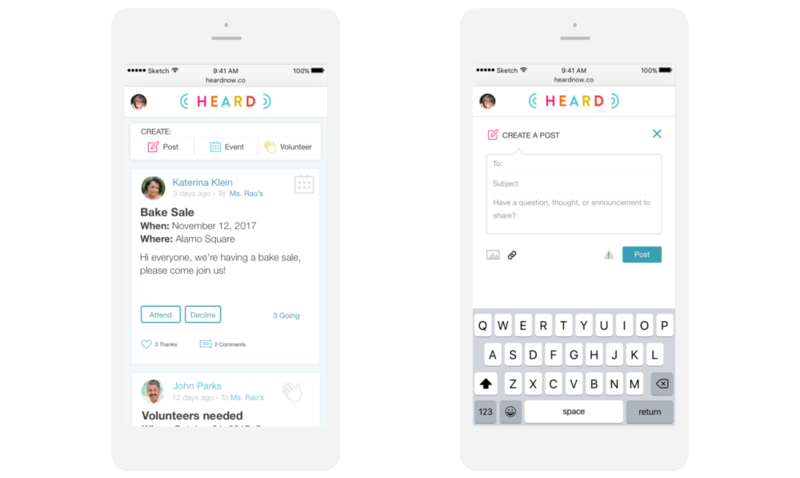 Heard is a communication platform for parents and teachers in the K-8 school community. They needed an onboarding experience that would build trust with parents sharing private information about their children on the internet. Heard is a communication platform for parents and teachers in the K-8 school community. They needed to redesign the feed so that busy parents could find relevant posts and urgent school news.